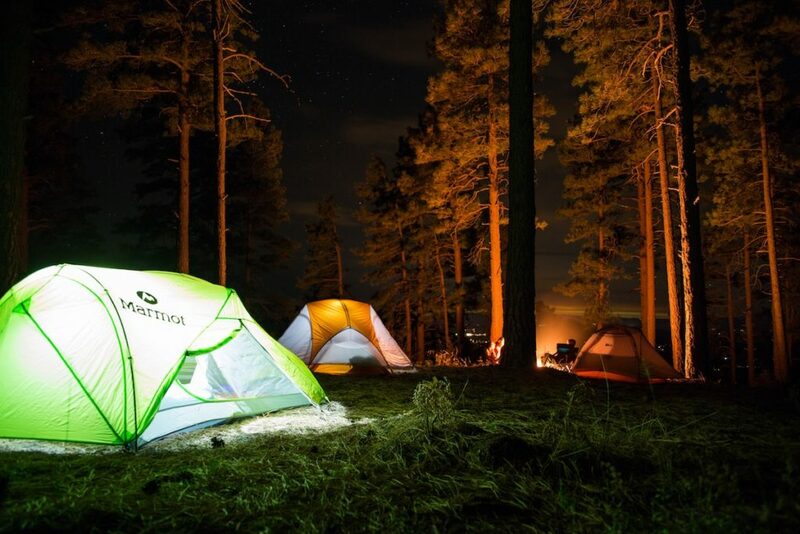 Camping is a great way to enjoy nature, relax, unwind, and spend time with friends and family. All you need is a durable cooler, portable grill, and the perfect tent to create a camping outing you’ll never forget. 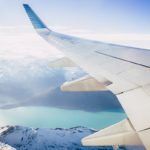 To find the best camping tent for your next adventure, check out one of the top five camping tents listed below. This family camping and hunting tent is designed with fiberglass poles and additional steel uprights to provide extra support. The center ceiling provides extra height for ultimate maneuverability. The tent provides two entry doors and skylight roof design to bring you into nature even while relaxing. 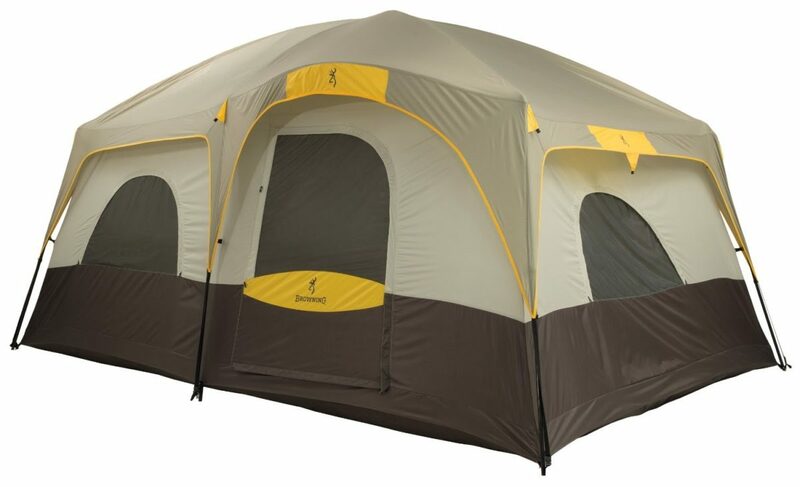 Additional amenities you can find in the tent include a separating wall divider, mesh storage pockets around the tent, and a gear loft perfect for storing hunting gear during the night. The two-person design is 10 foot by 15 foot and provides ample room for sleeping as well as daytime activities. 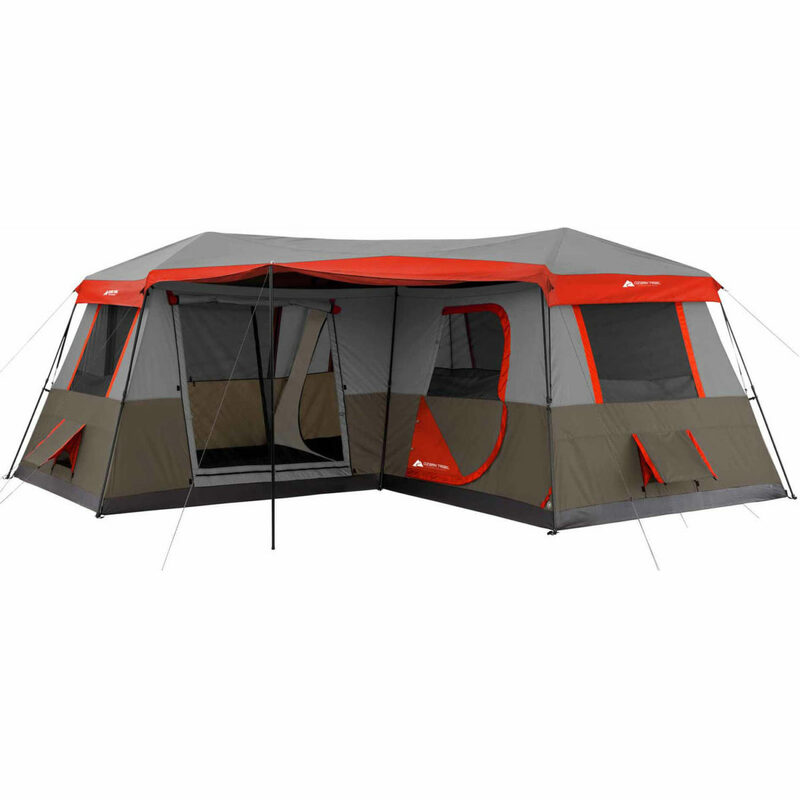 The Tahoe Gear Ozark 3-Season, 16 person family cabin, is perfect for an extended family camping getaway. 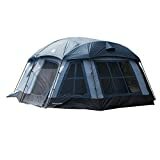 The tent can comfortably sleep 16 or provide large living quarters for a family of four to six. 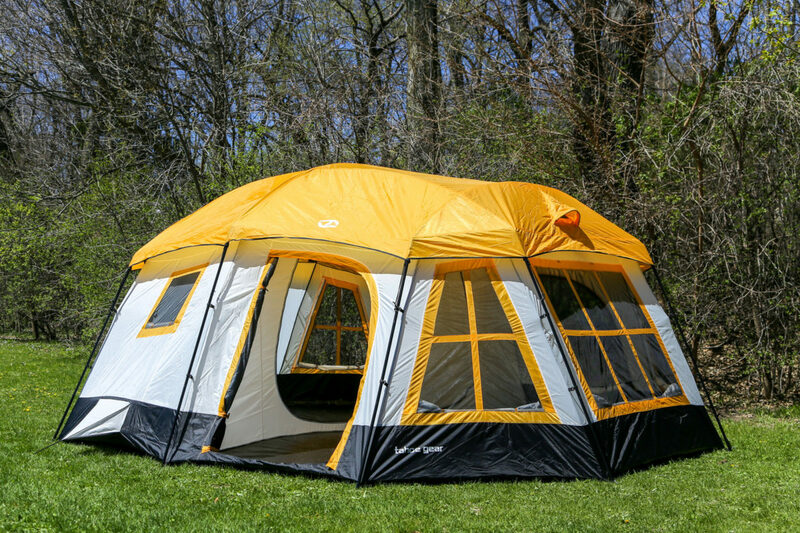 The height is seven feet, which allows all sizes of campers to move around comfortably without disrupting the tent. Poles and connectors are color-coded to provide for a quick and easy setup. Made from a durable polyester material, it is equipped with fly seams to make the tent water resistant and provide better temperature control in a variety of weather conditions. Room separators provide privacy when needed or can remain open for large rooms. This 12-person 16′ by 16′ camping tent is the perfect choice for luxury campers who like the idea of a cabin more than a tent. This model is also the perfect size for those who enjoy campground gatherings and like to host parties for their fellow campers. The cabin is three rooms and comes with affixed poles to make setup quick despite its large size. The design provides a porch setting complete with an awning to protect from the sun and rain, as well as plenty of windows to give the effect of more of a house than a tent. 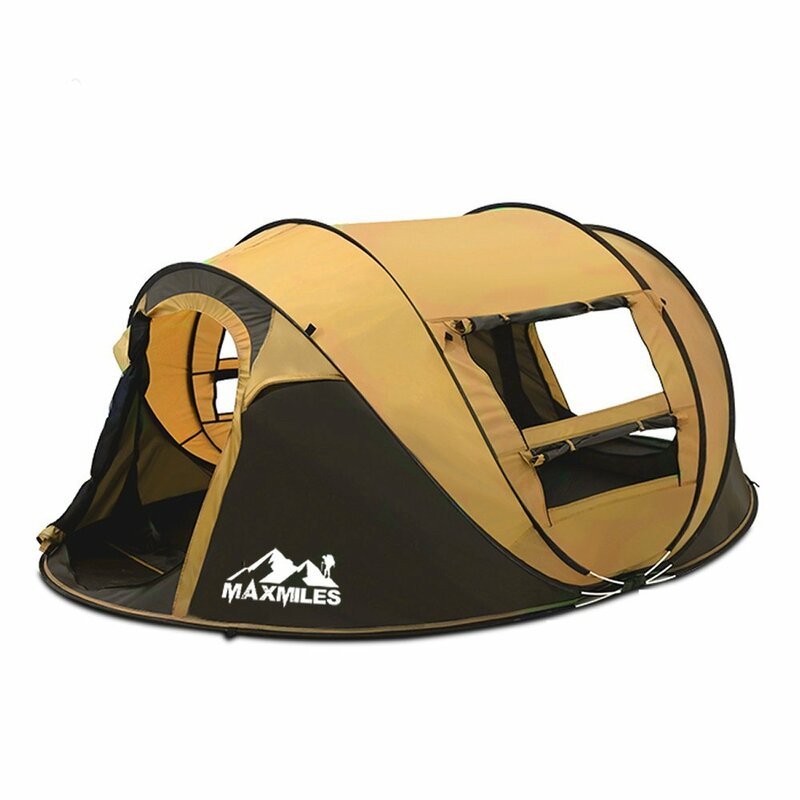 The MaxMiles four-person family outdoor pop-up tent gets high reviews for its waterproof exterior and portability. The tent folds to the size of a large disc that can be carried with a shoulder strap. 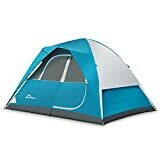 While the tent may be smaller, its durability and quick setup makes it the perfect addition on a camping trip as a bedroom or playroom for children. This tent can literally be set up in seconds. Its waterproof design makes it a great choice for day trips to the beach as well. This tent is perfect for festival goers and overnight campers. It is foldable and portable. The waterproof design makes it a great tent to bring out in even questionable weather conditions. The dome tent measures 10′ by 9′ and can comfortably accommodate up to six people. You can remove the tent cover to watch the stars at night or get in touch with nature while relaxing during the day. 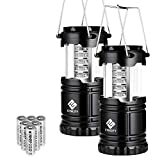 The tent also comes with many useful accessories such as the lantern hanger, adjustable air vent, interior pocket storage, and an electrical port access. 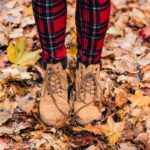 Now that you have your perfect tent picked out, check out our Top 5 Tips On A Successful Camping Trip to make your next adventure even more enjoyable!